In 'De Profundis', fast rising jazz singer Natalia Mateo combines the worlds of jazz, Polish folk, and singer-songwriting into a mesmerizing game of illusion. 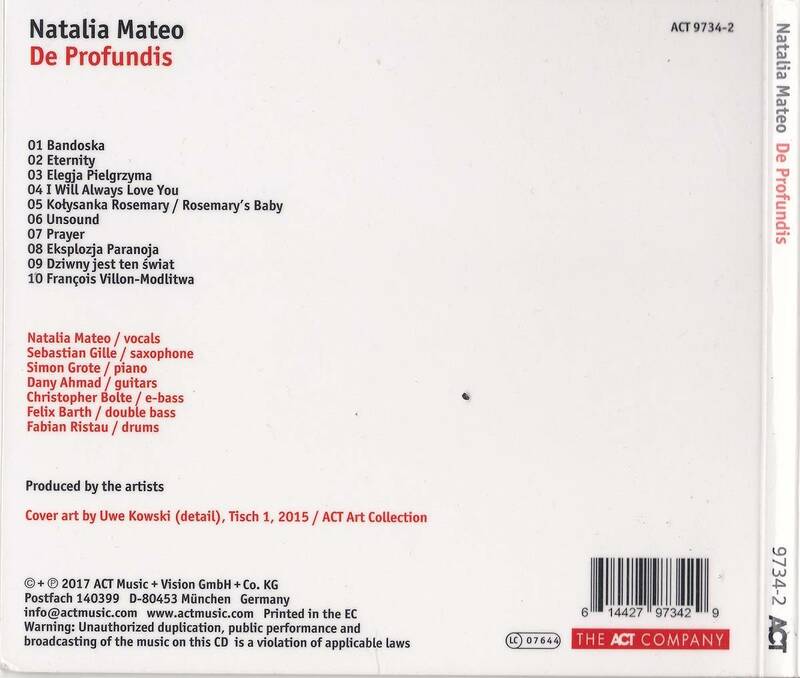 The album is inspired by Mateo s Polish origins, by the influences of her adoptive city of Berlin, and by artists who defy convention like Björk and Joni Mitchell. 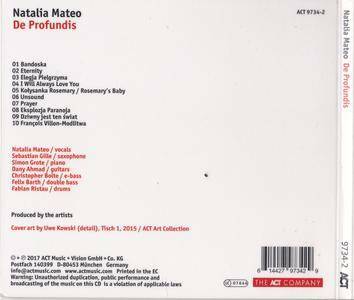 Mateo captivates the listener with her intensity as much as her restraint. Judiciously sparse instrumentation creates a sense of intimacy and a unique sound. 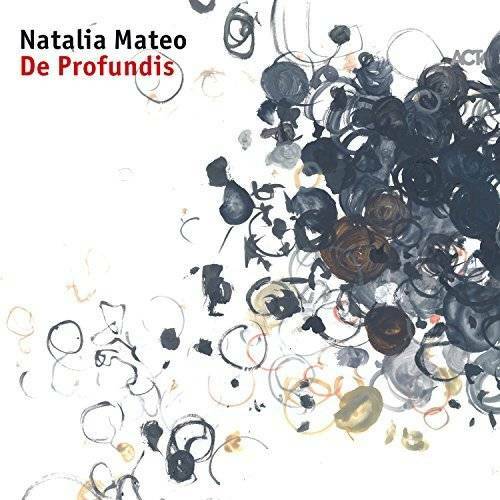 Through originals and covers, singing that can be both gentle/lyrical and angular/punchy, 'De Profundis' reveals Natalia Mateo s individuality in full. Thanks to the Original ripper dtromp !